Have you went on one too many low calorie-starvation diets? Have you jumped on and off the detox and fasting bandwagons. Are you finding it more and more difficult to lose those extra stubborn pounds. If so, you may have caused some metabolic damage to your system. At this point it can be extremely difficult to achieve the weight loss that you desire, but not impossible. 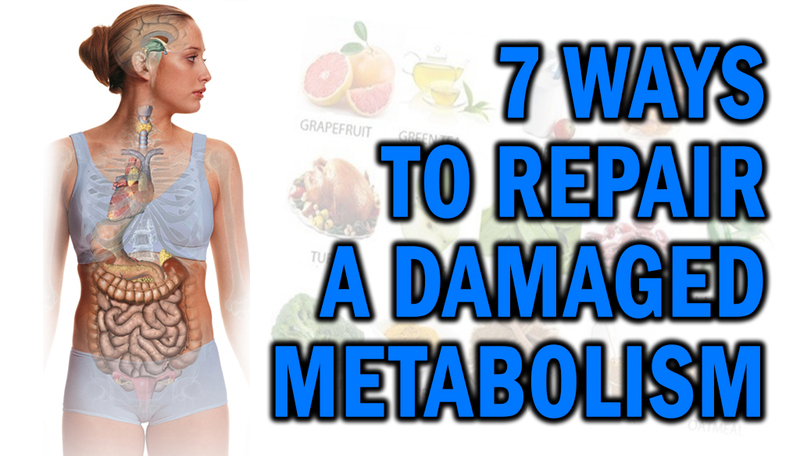 The good news is, metabolic damage can be repaired. All it takes is the right combination of metabolism stimulating nutrition and exercise. While you can repair your metabolism, the results are not going to be “overnight.” You will have to give it a little time. If you are consistent and diligent about sticking with all the metabolism boosting strategies, within 3 weeks your metabolism will start to become more efficient. Within 6-8 weeks, it should be up and running smoothly. The repair process is about simply tweaking your eating habits so you’re consuming less junk (processed foods, refined sugars, and foods loaded with saturated fat and/or sodium) and adding more fresh fruits and vegetables, whole grains, lean meats, and low-fat dairy products. The other huge part of your repair program is about incorporating exercise into your weekly routine. It can be any type of activity, just get moving! Together these nutrition and fitness strategies will help you get your metabolism back to burning off fat! 5) Cardio training: If you really want to get a metabolic boost make sure you amp up the intensity a bit! Walking and low intensity cardio is fine, but higher intensity exercise will stimulate your metabolism even more! 6) Weight training: Concentrate on the basic exercises that include the largest muscle groups or use the entire body as a unit (squats, dead-lifts, chest presses, rows and core-activation exercises) will have a much greater metabolism stimulating effect than isolation exercises. Add some metabolism boosting agents to your daily eating plan. Add hot spices like cayenne or black peeper to your meals. Have some green tea with lemon for your drink. Add some cinnamon to your smoothies. These little extras can actually aide in fat burning by keeping your metabolism revved up and your blood sugar levels even. If you want to get your metabolism fired up be consistent and patient, and you will see results.